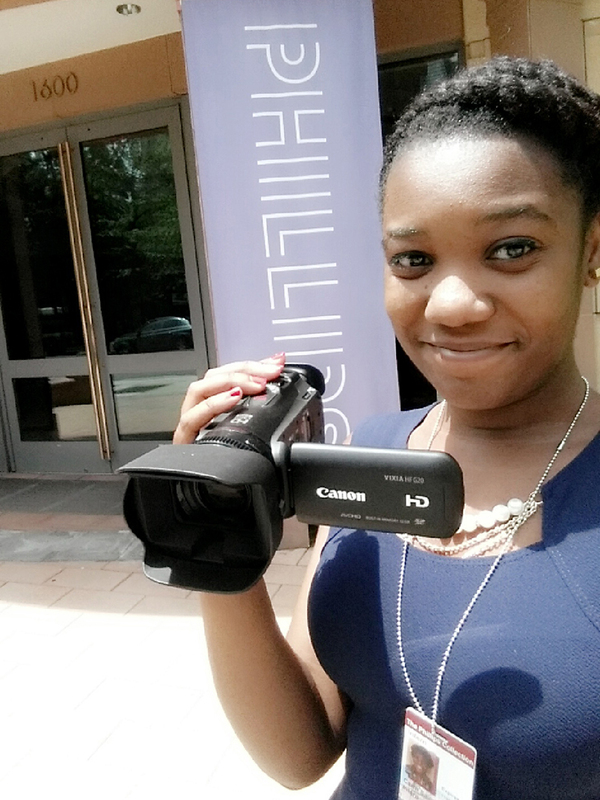 My name is Carm Saimbre and I am one of two Videography and Digital Engagement Interns at The Phillips Collection. As an inaugural intern for this newly created position, I get to trail-blaze my own path (with guidelines and suggestions from my supervisor, of course). Last fall, the University of Maryland and The Phillips Collection formed a partnership, resulting in the expansion of the museum’s Center for the Study of Modern Art. Every Monday and Wednesday, I report to The University of Maryland Center for Art and Knowledge at The Phillips Collection to brainstorm and create new content that captures the essence of the museum. In short, I am tasked with developing a new perspective for a national treasure. As a journalism major with an interest in broadcasting, interning at an art museum seems a little out of the ordinary. Journalism? Art? How so? But instead of asking how so, I ask, why not? Combining my journalism skills and newfound art knowledge will be a challenge, but I look forward to finding contemporary ways to digitally engage our audience. Be on the lookout for more posts from me as I dive into specific projects this summer.